Attention: This is the awareness stage where the target consumer has just got to know about your product or services. Interest: The consumer is now interested to know the benefits and value of using your product. Evaluation: The consumer does market research to learn more about your brand and your competition. Action: Consumers at this stage are ready to make the purchase decision. This concept of Sales Funnel started way back in the late 19th century to help businesses hit their bottom line harder. Now you would think a century is enough time to make marketers serious about strengthening their sales funnel. However, a good 68% of B2B businesses haven’t yet identified the stages in their sales funnel. It’s like a majority of the SMBs are not making any real effort to nurture their leads. That’s a big mistake since nurtured leads gives you a 20% higher sales lift. So, if you are interested to improve your conversion rate by 20% or higher sales, you need to refine your sales funnel with more interactive marketing content like videos, infographics, emojis, gifs, quizzes, etc. In short, content that have high engagement rate. Take for example this video by HootSuite. Aptly titled “A Game Of Social Thrones”, this video is a clever spoof of the popular Game of Thrones TV Series’ opening credits scene. If you love GOT, after watching this video, you would surely come to have a soft spot for HootSuite as well. Which is great for Hootsuite’s conversion rate. This video gives away the “expert” image and is thus perfect for nurturing the leads who are in the evaluation stage of the sales funnel. Consider this as your customer’s first encounter with your SaaS product. Right now, your consumer is part of the traffic, and the goal of your marketing content should simply be about catching their attention and driving them to your website landing page or your app store page. Build content that is fun and shareable in nature like a promotional video ad. 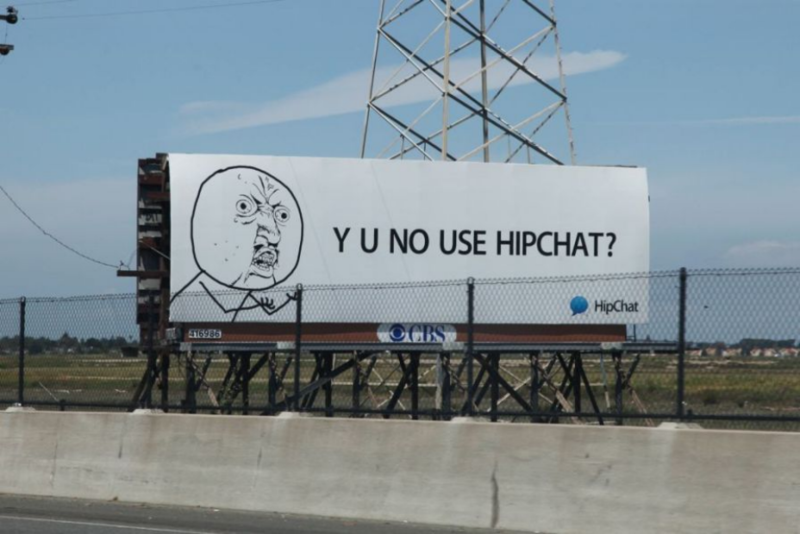 Even billboards can work miracles like it did for HipChat, a SaaS group chat product. Back in 2011, HipChat founders used a billboard to push market awareness and it generated a 300% increase in online searches, earning them a number of new customers. Part of the reason for this incredible billboard success is the popular “Y U No” meme character. HipChat used it to target companies with young leadership, and the formula worked. Product promotional videos are also great for holding your consumer’s attention. Just make sure your video is engaging, fun and shareable. Dollar Shave Club’s promotional explainer video has all these magic factors. Plus, the script has been tailored to resonate with their target audience. Dollar Shave Club customers are mostly men in their 20s or 30s. So, they could get away with using bold humour in their video script like “our blades are f**king great” and “your handsome-as* grandfather had one blade- and polio”. The video was a huge hit, with over 20 million views. And the result is quite incredible too. Dollar Shave Club reports of getting 12000 new orders within 2 days of releasing the Explainer Video on YouTube. Takeaway: Videos at this stage need to be short and shareable. Think 15-30 second mini videos or 60 sec promotional video adverts that tap into the power of consumer emotion to drive brand affinity. Congrats, you have got your customer’s attention, and now it’s time to pull them further down your sales funnel. Objective of this stage would be to educate your lead and get them to sign up for your free trial. So push out educational marketing videos that gives your consumers a brief glimpse of your product, and presents the value and benefits your product bring into your consumer’s life. One way to convert your leads into opportunity is by using a short explainer video. 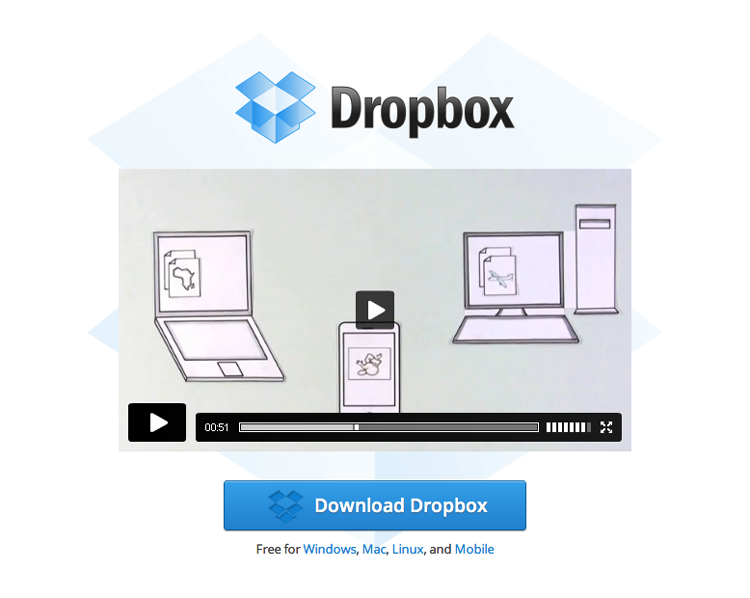 Dropbox used an explainer video on their homepage to drive product downloads. They used a clean and simple landing page strategy, with just the video and the product download button. Result: The 2 minute explainer video increased the conversion by 10% leading to 10 million extra customers which translated to a ROI of $48,000,000 in extra revenue. Since the success of Dropbox, hundreds of other SaaS and B2B companies started putting explainer videos on homepage. Rypple, a CRM platform which was sold to Salesforce, in fact did an A/B test with three different landing page variation, and the one with the explainer video drove the highest conversion (20%). Other wildly famous example is that of CrazyEgg, the heatmap tool by QuickSprout’s rockstar, Neil Patel. To record, the CrazyEgg video has the highest conversion rate of 64%. In terms of money, founder Neil says the video drives an extra $21000 of sales every month. Takeaway: Maximize your landing page conversion strategy with an explainer video. Consider putting your call to action button next to the video and avoid signup forms that ask for a lot of detail. This is the stage where your consumers sit down to do a heavy research. They want to know more about your product, your brand, and even your position in the market. They won’t just stop at your product, but would also be researching alternatives to understand where your product stands and whether you are a good fit for them. Objective of this stage would be to provide content that establishes your brand as an expert or thought leader in the market. Whiteboard Fridays have been a huge hit for Rand Fishkin, the Wizard of Moz. It has catapulted the brand into a thought leader of the SEO industry. These Whiteboard Fridays put together by Rand and his team get in average around 15000 unique views, and the most successful Moz video till date – How Google’s Panda Update Changed SEO Forever – has over 200,000 views. To top it all, founder Rand says that the Whiteboard Friday series outperforms other content by around 20-30%. Releasing infographics on your industry subject can also help push your brand’s “expert” image. Plus, like videos, infographics too have a high engagement rate. One study says that infographics get social likes and shares 3x more often than any other type of content. RankWatch, a digital marketing SaaS platform, in fact saw over 1.4k shares within 24 hours of releasing their Future of SEO infographic. Takeaway: Produce a series of unique visual content that help establishes you as experts or thought leaders of your industry. Videos at this stage can be longer but try to keep it around 10 minutes. Shorter is always better. This is the moment of truth. Your consumer is done evaluating your product (and, for sure, that of your competitor’s too). All that’s left for them is to make the purchase decision. There’s a slim chance you may lose your prospect to the competition. So, the preferred visual strategy at this stage, besides keeping your fingers crossed, would be to build case study videos and customer testimonial videos.  Hubspot is well loved for its marketing blog. In one Forbes article, Mark Roberge, the SVP of Sales at Hubspot, revealed that their website receives over 1 million visitors every month, out of which over 60,000 convert into leads. Hubspot uses videos for each stage of the sales funnel, from the homepage explainer video to a detailed product tour video, and at their bottom of the funnel are the video testimonials and case studies, which helped pushed hesitant prospects to try out their product. The video testimonial and case studies dispels away any doubt that the consumer may have about the product’s ability to yield result. Marketing is all about understanding what makes your customers click. This simple factor has helped startups to go from zero to million users overnight. Knowing when and how to open communication is critical to identifying leads, converting them to prospects, and taking them all the way through to the final stage of their buying cycle. Have you heard of interesting stories or tried visual strategies to target different stages of buyer behaviour? We would love to hear and learn from them, so do comment below.